Throughout the year we enjoy many types of plants in the house but it’s during the winter as we spend more time inside that we really come to appreciate them. My cat, Sam Spade, likes to sit on my drafting table and look at the bird feeder in the tree outside the window. Next to the table is a houseplant that I never gave a second thought to until he started nibbling on it recently. The plant is a Tricolor dracaena marginata and I should have checked for toxicity when I first got it. Thankfully, he didn’t become nauseous or developed any other symptoms. Now I have a beautiful poinsettia on the table and soon I’ll be getting other holiday plants such as cyclamen, paperwhite narcissus, maybe a pink jasmine wreath or one with holly, ivy and evergreens. I also like those rosemary topiaries that are trained in the shape of a Christmas tree. I have already started one of those huge showy amaryllis bulbs and have Christmas cactus in several locations. How safe are these plants for Sam? The classic plant to decorate our homes at this time of year is the poinsettia. I used to live in Pismo Beach where this plant grows tall in the mild winter weather. In Hawaii where my sister used to live they are used as hedges. Unfortunately, it’s too cold here in the mountains for poinsettia to survive outside at night. The poinsettia is native to Mexico. 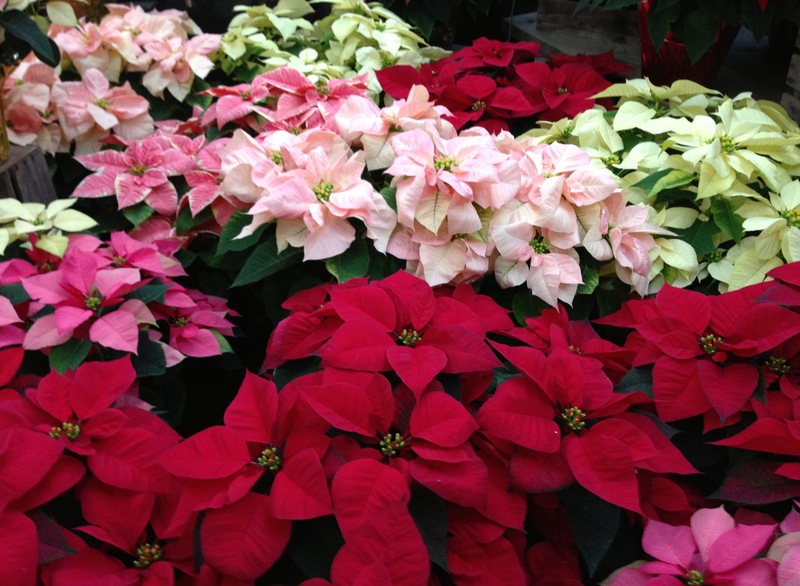 In the 1820’s President Andrew Jackson appointed Joel Roberts Poinsettia as the first U.S. Ambassador to Mexico. In 1828 he found a beautiful shrub with large red “flowers” growing next to a road. He took cuttings and brought them back to his greenhouse in South Carolina. Because the leaves turn bright red around Christmas time they have been used as decorations for the holidays ever since. 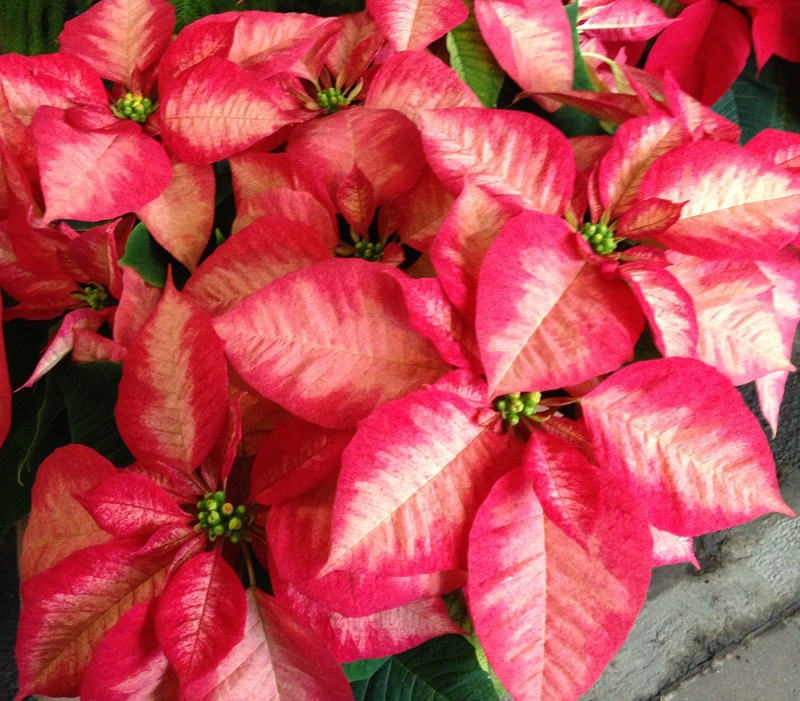 Poinsettia hold up well inside either as a cut flower or a living plant. They need a bright spot in the house and the soil should be allowed to dry slightly but not completely between watering. Deprive them of either of these requirements and the lower leaves will yellow and drop. Also be sure they aren’t sitting in water at the bottom of the container. Poinsettia are brittle but if you break off a branch, sear the end of the stem with a flame and it will hold up quite well in a vase or arrangement. There are other pets in my household including another cat named Archer and Sherman, the Welch springer spaniel. 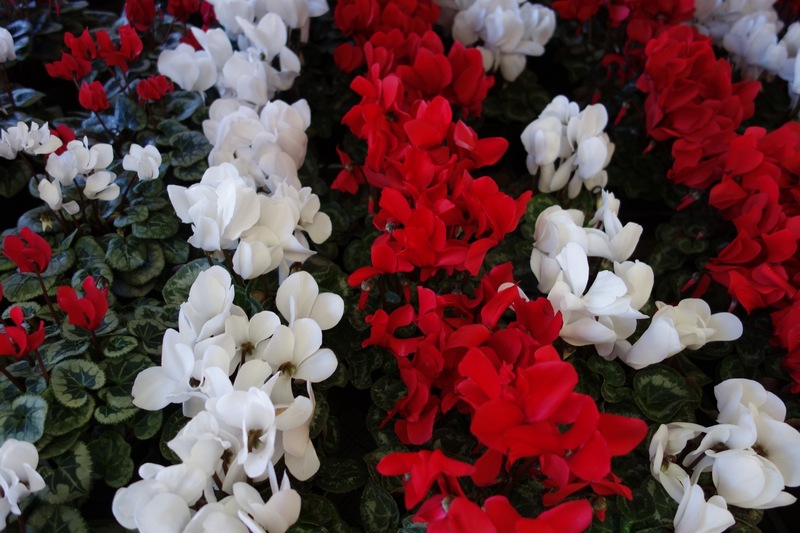 I usually put a couple red and white cyclamen on a table in the house. Are cyclamen safe around them? According to the Pet Poison Helpline cyclamen are mild to moderately toxic to dogs and cats if ingested but it’s the root or corm that is especially toxic if ingested in large quantities. . Keep in mind that pets and people differ in which plants are toxic and to what agree. According to Dr. Leonard Perry of the University of Vermont, it’s the corm or tuber of the cyclamen that contains triterpenoid saponins and it is unlikely that humans (including children) would eat the thickened roots and be affected. 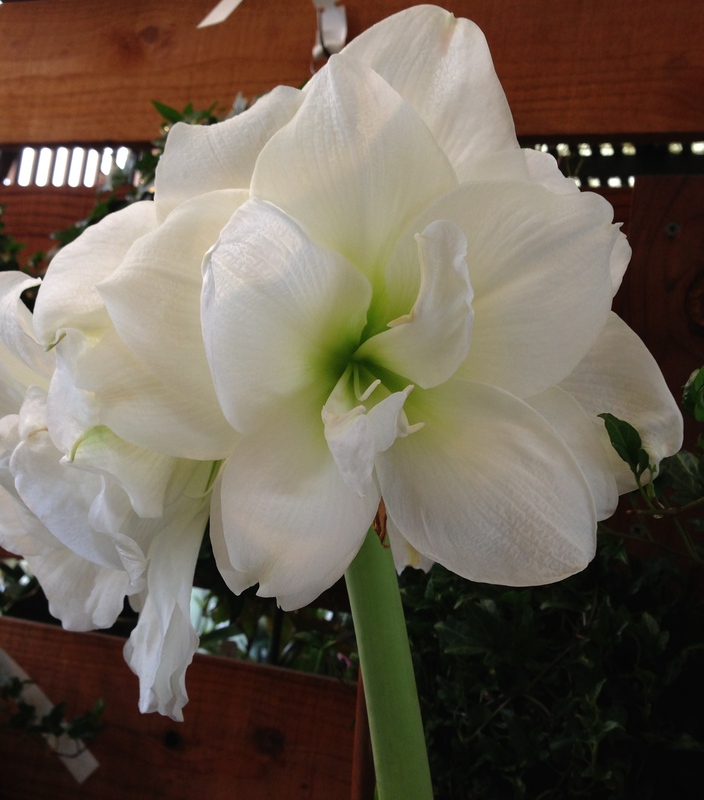 My beautiful amaryllis flower and leaves are safe but it’s the bulb which is toxic. Amaryllis contain the same alkaloid that is found in narcissus and daffodil and is the reason wild animals like deer know to leave them alone. Keep them away from pets and small children although ingesting a small amount will produce few or no symptoms. While serious complications aren’t like with other holiday plants it’s still best to keep them away from small children and out of your pet’s reach.